Are you an employer or employee of the HR department? Are you interested in isses related to the ZFŚS? 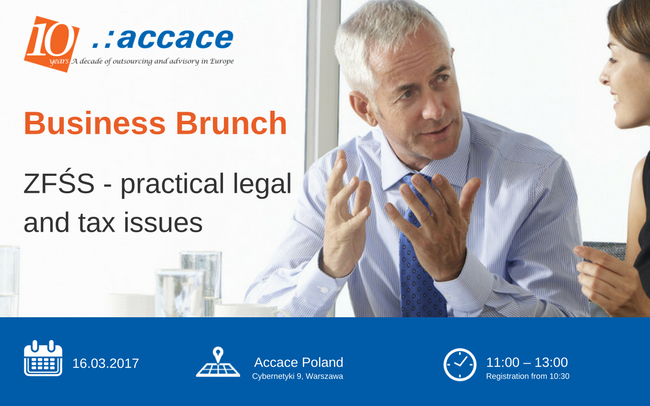 Welcome, we invite you on the Bussiness Brunch, during which we will discuss the most important changes in 2017.